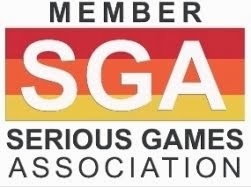 EI Games LLC is this year’s finalist in the Best Business Developed Serious Game category of the Serious Games Showcase & Challenge with Game of Sales. 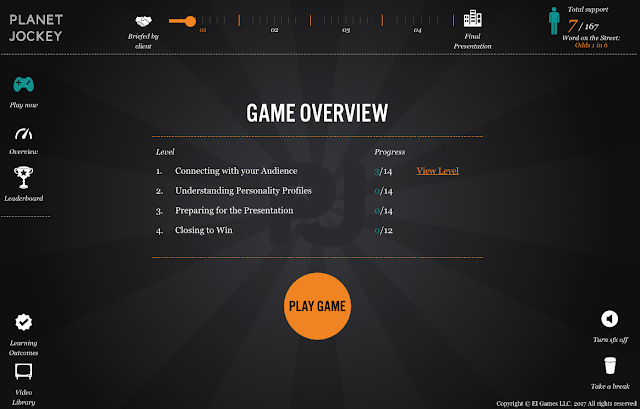 Game of Sales is a business selling and presentation game based on founder Kevin Allen’s successful business development career and his bestselling book The Hidden Agenda - A Proven Way to Win Business & Create a Following. Founded on key principles of the importance of emotional motivation, Game of Sales centers on personality profiling and also brings practical selling techniques from Allen’s famed pitching career. 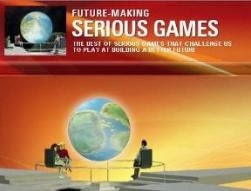 The “Serious Game” creates a highly engaging scenario of the player leading a pitch for a vital new account. The game’s objective is to impart theories and practices in emotionally intelligent selling, such as connecting with your audience, understanding personality profiles, preparing for the presentation, and closing to win. Beyond this, the game directly address increased skill levels and experience within a wide range of emotional intelligence characteristics, including: Inspired Communication, Permission to Experiment, Customer-Centricity, and Generosity of Spirit. As the newly appointed Director of Sales at a consulting company called Planet Jockey Inc., the player is tasked with beating their 5 biggest competitors in pitching and winning a global account from Gotham Industries by demonstrating values and strategic thinking rooted in emotional intelligence. The game takes the player through a journey towards a final pitch presentation, and as players progress through the four levels of the game, the competition narrows down to two remaining companies on the day of the pitch. 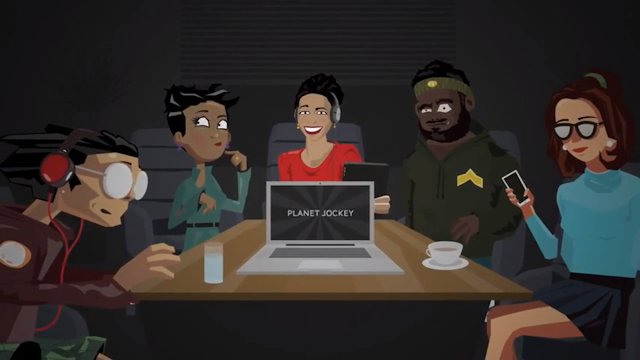 Each player faces a four level leadership journey with scenarios based on the experiences of EI Games’ founder as well as real global CEOs and executives interviewed during the creation of the game. The player must decide on the emotionally intelligent approach to the situation, beat the competition and win the account. Probably the most exciting aspect of the EI Games platform beyond the training is the instructors and administrator’s portal, housing rich data on the performance of each and every player in the game experience. 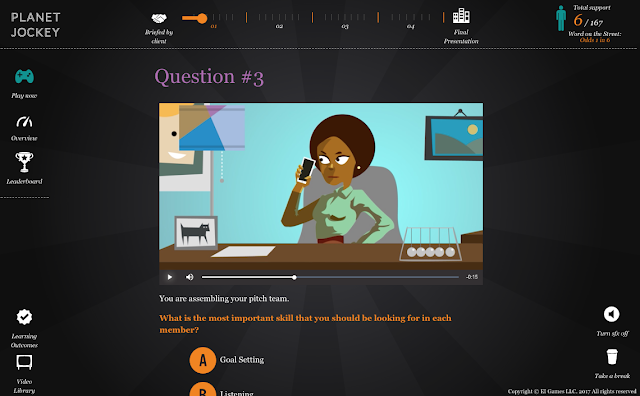 The company assists in tracking individual performance, indicating areas of strength, which can connect with other learning platforms to supplement the identified needs. Game of Sales is designed for the Web and intended for corporate learners and university students. EI Games specializes in online business training games that teach practical emotional intelligence in leadership and management, providing educators in business and higher education with real-time analytics for future development. Kevin Allen is EI Games’ co-founder and content creator. Following a distinguished global advertising career he set out on a new journey to help companies, schools and individuals succeed. He is the bestselling author of The Hidden Agenda: A Proven Way to Win Business and Create a Following, and The Case of the Missing Cutlery: A Leadership Course for the Rising Star. He has been published in Forbes, Harvard Business Review, CNN and CNBC, Fox Business, and Inc. Magazine, Fast Company and has been featured on BBC Radio. Kevin is recognized as one of the world’s most accomplished growth professionals, working with global companies like Google, Burberry and Verizon, and lectures at Columbia University, Harvard, Miami Ad School, Queen Mary University and Regents University London. His award-winning training programs have helped thousands of people achieve success at companies around the world. Each of us pitches ideas every day. Regardless of what idea we're selling--or who we're selling it to--it all boils down to the act of stirring someone to join you, to agree to follow you. Yet we consistently underestimate how critical it is to recognize the role of the decision maker. Decisions are, after all, made by people; and people have needs and agendas, spoken and unspoken. Understanding these needs and agendas are critical to success in business. Kevin Allen's approach is not about persuading, but about creating a connection that assures a mutual win.